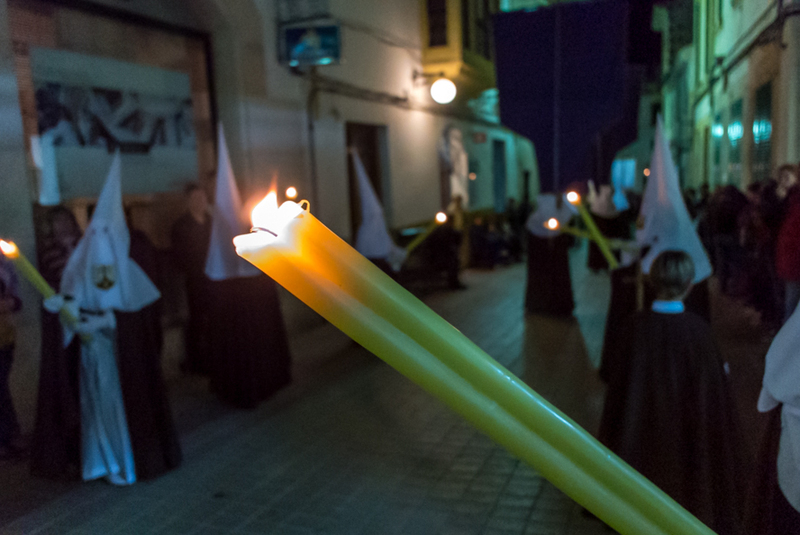 Dozens of Easter processions were undertaken during Setmana Santa in Mallorca. Last night, Palma and many pobles staged the Processó de la Sang, the Procession of the Blood. Today, some restaurants will offer Arròs amb Bacallà to celebrate the end of Quaresma, the last day of Lent. The photo was taken in Felanitx, Mallorca, Baleares, Spain. The date: April 17th, 2014.